In light of flash data for JPY futures markets from CME Group, open interest increased for the fourth straight session on Monday, this time by more than 3K contracts. Volume, instead, shrunk by almost 38.7K contracts after two consecutive daily builds. 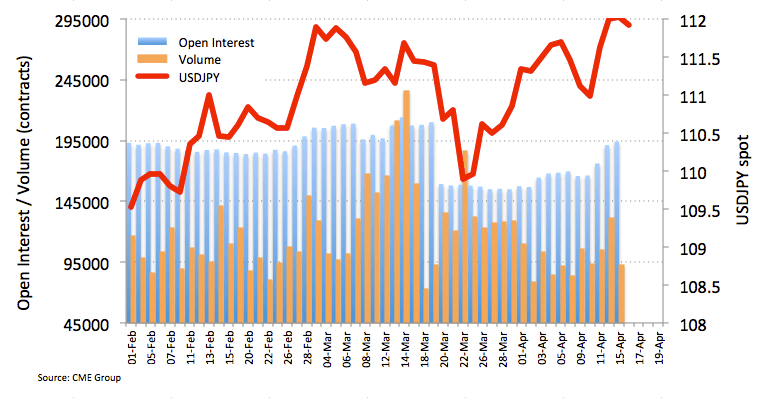 USD/JPY remains posed for extra gains in the near term on the back of rising open interest, while activity around volume stays unclear for the time being. Some consolidation, however, is not ruled out in the very near term ahead of further upside. Next Article EUR/USD getting closer to support, will it fall or rise?